Over the past two decades, community forestry has been adopted with growing frequency across Canada. Localities have sought to balance multiple values – economic, social, environmental – within systems of decentralized forest management. Contributors to Growing Community Forests: Practice, Research and Advocacy in Canadademonstrate that community forestry ventures are participatory, increasingly collaborative and face ‘issues and forces’ of Indigenous empowerment, environmental requirements and increased community demands. While specific practices stem from local contexts, existing legislation guides community forestry implementation. Growing Community Forestspresents several case studies of community forestry in practice, primarily in Ontario. 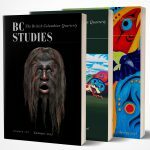 For those interested in British Columbia, the book lacks the scope needed to capture the tenured history and diverse ecosystem forests in this province. 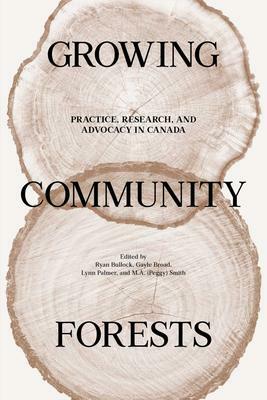 Nevertheless, Growing Community Forestsadds to the growing body of literature that identifies common practice in Canadian community forests. Community forestry arose in the aftermath of changes in the industry related to decreased wood product markets, unemployment and permanent mill closures. Ryan Bullock, the volume’s editor, illustrates how varied this response was. Palmer and Smith explore the crisis-driven development of community forests in their examination of the Northern Ontario Sustainable Communities Partnership. Subsequent chapters illustrate increasing collaboration, shifting power dynamics and relationship building between Indigenous and non-Indigenous participants. Casimirri and Kant explore how the Constance First Nation and forestry /government representatives developed a framework for cross-cultural collaborative decision making. In a study of maple syrup value chains, Murphy, Chretien and Morin demonstrate the historical complexity of community forest resources, including non-timber forest products. Conceptualizations of ‘maple syrup communities’ are complicated by the increasingly visible boundaries of Indigenous treaty lands and traditional territories, as well as broadened socio-ecological systems that include not only humans but trees. Local forest governance strategies in the Maritimes represent the newest phase in Canadian community forest management. Glynn deconstructs local governance in New Brunswick, and MacLellan and Duinker examine the ‘local trap’ in Nova Scotia’s community forest policy. BC’s community forest system includes 58 tenures, most of which are networked through the BC Community Forest Association (BCCFA). Gunter and Mulkey provide a history of BC’s community forest program, and the role of the BCCFA. BC community forestry goes back more than 60 years; however, most current community forests emerged after the establishment of community forest agreements by the BC government in 1998. Despite the large number of community forest tenures in BC, Growing Community Forestsincludes case study review of only one—the oft-examined Harrop-Procter Community Forest (HCPF). Egunyu and Reed examine social learning in forest governance and Leslie also uses the HCPF as case study but does so as a base for discussing climate change adaptation and wildfire management goals. Interestingly, mitigating the impact of climate change with fire prevention plans was not a concern for BC’s community forests initially but has now become central to all community forests. These authors do not portend to generalize about BC’s wider community forest system based on the experience of the HCPF. The absence, however, of a broader comparison of experiences within the provincial CFA system represents a missed opportunity to draw linkages between earlier chapters on Indigenous engagement and management with the BC experience. BC’s CFAs emerged concurrent with the growing legal recognition of the inherent right of Indigenous peoples to participate in decision making regarding the future of forests in their territories. In seeking to balance economic, social and environmentalvaluesthe community forest will be severely tested as it continues to adapt to new realities and evolving community priorities such as an increase in rates of insect/disease epidemics and wildfire, not to mention the safety of communities. Winnipeg: University of Manitoba Press, 2017. 256 pp. $27.95 paper.